The first more extensive trip of the year 2015 was not to northern Norway as I planned first – it is simply too expensive to travel alone! 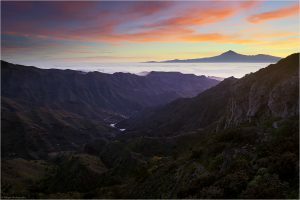 My first alternative was La Gomera and, guess what, I am so happy that I discovered this marvellous place on the same latitude as Sahara! This island is small, but nature is really BIG. 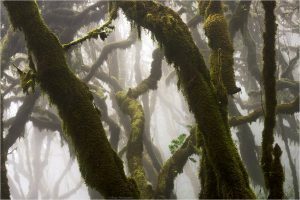 Garajonay forest all alone would be worth the trip by plane to Teneriffe and then by ship to La Gomera. This UNESCO world heritage site is of such a unique beauty and nativeness that you will first just stand there in between the moss covered laurel trees with your jaw dropped, simply admiring what you see. 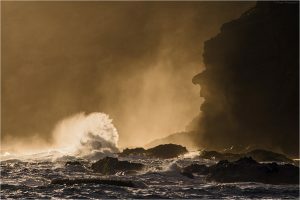 I was lucky that during the first days of my trip, the clouds blown to the northern slopes of the island by the north-easterly tradewinds reached all the way up to the most beautiful parts of the forest. 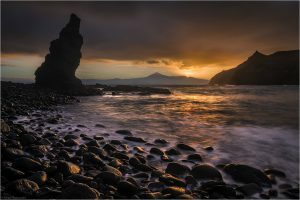 But La Gomera is also an island of cliffs, beaches and bays – some of them you even will have all on your own during the whole day if you are travelling during off-season. 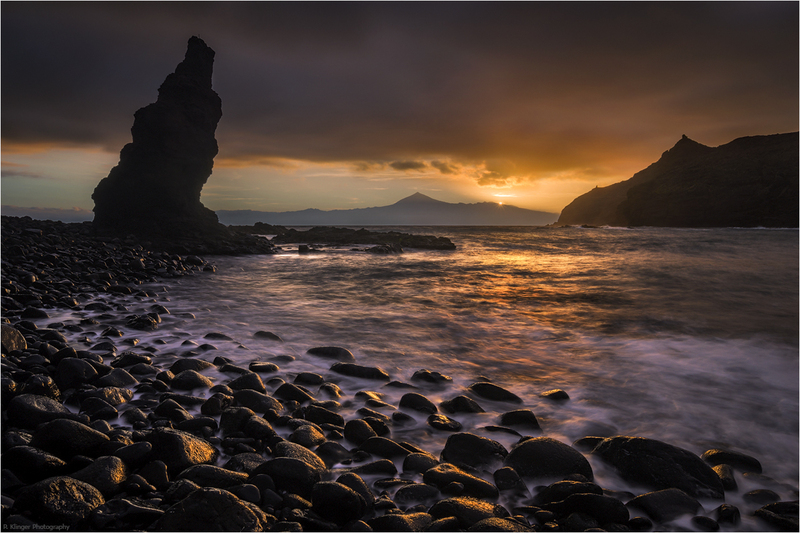 To sum up, La Gomera was the perfect start to the travelling year 2015! 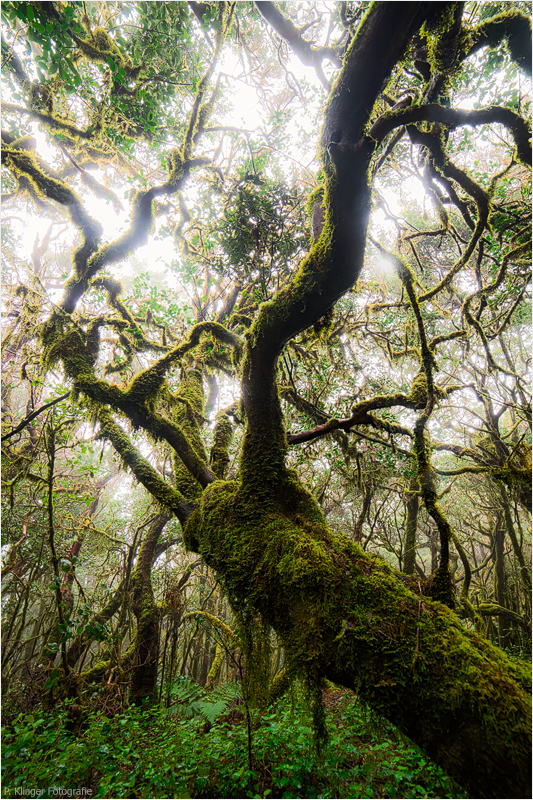 Moss covered laurel forest of Garajonay National Park. Other plants like ferns can be found everywhere – on the ground as well as on trees. Mount Teide on Teneriffe is omnipresent when you climb higher. Trolls can be found also on the Canary Islands. 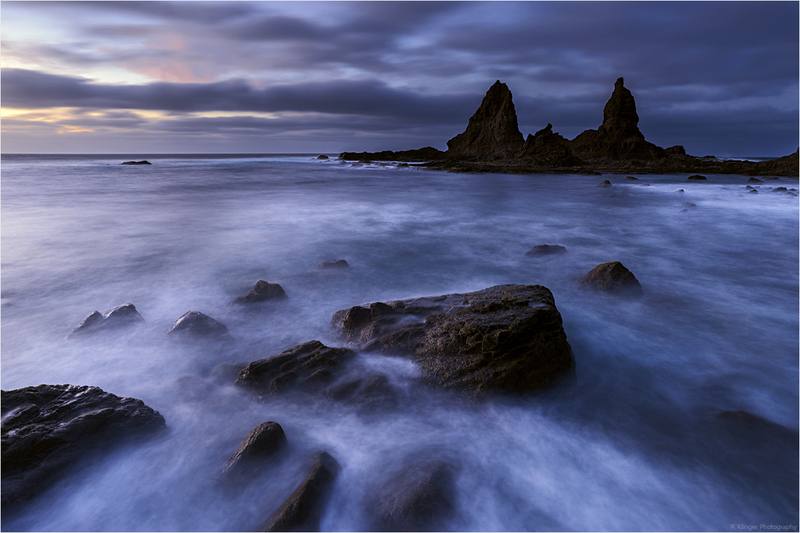 Playa de la Caleta is one of the most beautiful bays of La Gomera. Remote and rough – the western shores of La Gomera. If you like to see more photos of my trip to La Gomera, please also have a look at the gallery!